William S. Boyd School of Law (2015) - J.D. Christian serves as a member of the UNLV Boyd School of Law Alumni Board and chairs the Board’s Governance Committee. Christian is also a member of the Nevada Justice Association, the American Bar Association, the Clark County Bar Association, the National LGBT Bar Association, and the Nevada State Bar – LGBT Division. 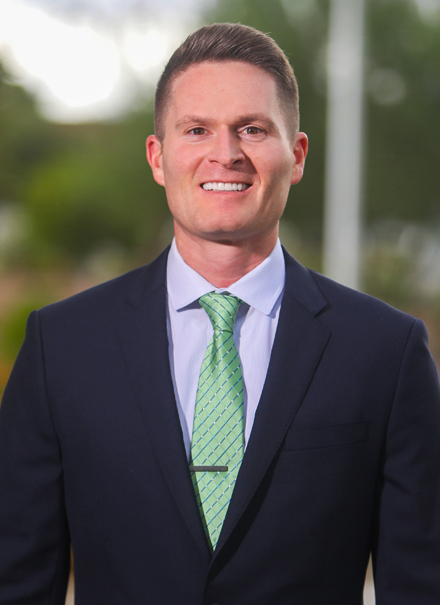 Before becoming an attorney, Christian earned his Masters degree in Curriculum & Instruction in 2003, received his Nevada teaching license and taught at Shadow Ridge High School. Christian taught students for over 12 years. Throughout his teaching tenure, Christian taught Advanced Placement United States Government and Politics, United States Government Honors, United States Government, and also taught a College of Southern Nevada dual credit courses in Political Science. Christian earned his undergraduate degree from UNLV with a Bachelors degree in Political Science. While on campus, Christian was active in CSUN Student Government and Greek Life. Upon graduation in 1999, Christian worked as a Political Analyst in the Community and Government Affair Department for MGM Mirage. He did so for three years, serving on numerous community boards and panels and representing the gaming industry in diversity and political issues. Christian was born and raised in Las Vegas, NV. And now resides in the heart of Downtown Las Vegas. Christian is a proud graduate of Durango High School. For the past 18 years, Christian’s passion has been coaching youth sports in the community. Christian is a member of the Board of Directors for Vegas United Volleyball Club and is actively on the sidelines coaching young athletes from ages 12-19.